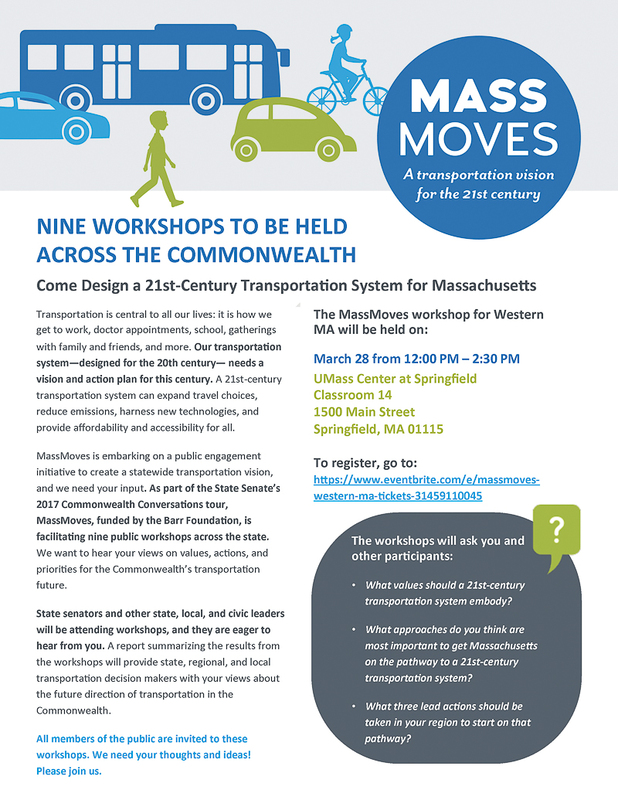 Your chance to help design a 21st-Century Transportation System for Massachusetts. Please come to the meeting and let our local state senators (who will be attending the meeting) know that we need more passenger rail service in Western Mass. If you cannot attend the MassMoves event please consider attending the Tuesday evening Town Hall meeting in Amherst and speaking out for expanded passenger rail service. The Town Hall meeting is being hosted by Senator Don Humason, Senator Adam Hinds, Senator Eric Lesser, Senator Jim Welch, and Senate President Stan Rosenberg. Commonwealth Conversations | Western Mass.